Many moons ago, back in the days when there were such things as “summer breaks,” I went canoeing with my friends Trevor and Chris on a tiny river in Virginia. When I say “tiny,” I mean tiny. It was but a stone’s throw from one side to the other (distance in backwoods Virginia is measured in stone’s throws), and the water rose no higher than our knees. Us being strapping young men in need of a summer tan, we stripped off our shirts, grabbed the two life vests Chris had in his truck, and boarded the canoe. Then we proceeded to have a rather pleasant ride up river, figuring we’d relax on the way back. It was a beautiful day–blue skies, clear water, very little current. The only disturbance was a flatbed party boat that jetted by us, the Backstreet Boys thumping through the speakers. After an hour of light paddling, we started drifting back to where we had left the truck. We were but 100 yards (2.7 stone’s throws) from the parking lot when we heard, of all sounds, a siren. We turned around to see a river police boat sidling up next to us. At first I figured the creek ranger or whatever they’re called was going to ask us for intel about the party boat, but instead he asked us to hold up all of the life vests we had in the canoe. It was then that we realized that we were in a bit of trouble, because river law states that you need to have as many life vests in the boat as there are people. You don’t have to wear them, of course. River law is built around getting women to wear bikinis on party boats, and life vests would get in the way of the goods. But you have to have them in the boat. We were told to stay in the boat (where else were we going to go? Were we going to make a run for it?) as the stream sheriff wrote us a $70 ticket. 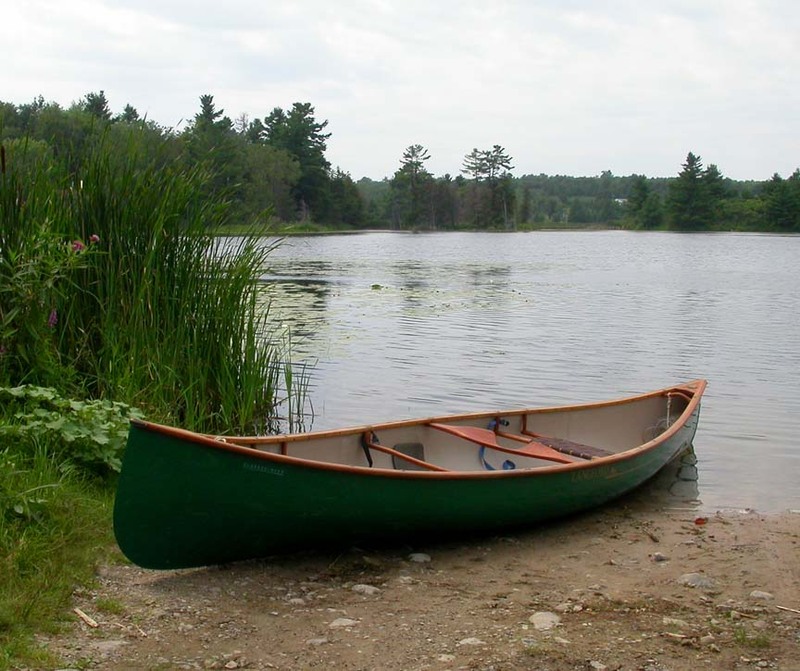 We drifted the remaining 100 yards under the sheriff’s supervision, stepped out of canoe, and drove home. Our wallets were a little lighter, but at least we’ll always have the canoe story to tell. This entry was posted on Tuesday, February 22nd, 2011 at 10:31 pm	and is filed under humor, personal and tagged with humor, personal. You can follow any responses to this entry through the RSS 2.0 feed. This story is absolutely true. In Virginia we do in fact measure distance by the throw of a stone and manliness by your ability to jump right into the lyrics of “Quit Playin’ Games with My Heart” as the Backstreet Boys pump on the radio of a passing boat. And on that fateful July day, the river Sheriff did in fact leave us with nothing but downtrodden hearts and a $70 ticket. That law seems flawed. If all three of your were to be drowning at once, there would be no one to throw you the life vests. If one of you was not drowning, you would need one less vest. So the equation should be (# Life Vests required = # people – 1). I think the idea is that you fall in the 1-foot “raging” river, grab your life vest, and save yourself. I’m immediately taken aback by the BSB hatinh going on in this post, but an enjoyable entry anyway. Except for Red’s uber-confusing equation about the number of vests vs. people. Ha ha…I don’t think we were hating on BSB, Tracy. The volume of the music disturbed the tranquility of the day, sure, but otherwise I take no issue with BSB.